In addition to parking space for about 2,000 cars, the store will have a 1,000 seater restaurant serving Swedish and Indian delicacies. 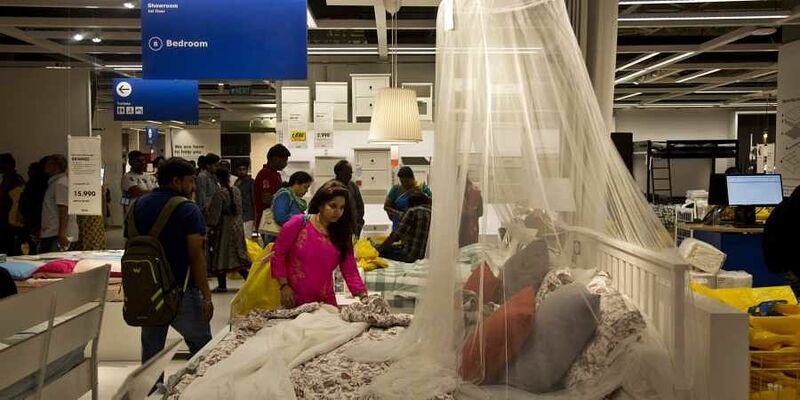 BENGALURU: Swedish furniture, kitchen appliances and home accessories retailer IKEA would invest Rs 2,000 crore in setting up and expanding its store in this tech hub in 2020, a top official said on Thursday. "As Karnataka is a priority for us, we are investing Rs 1,000 crore in setting up our popular store and another Rs 1,000 crore in expanding it later," IKEA India Chief Executive Peter Betzel told reporters at its ground-laying ceremony in the city's northwest suburb. The European behemoth, which opened its first store in the country at Hyderabad in August, will employ about 1,000 co-workers directly and engage 1,500 indirectly in services at the 5-lakh square feet Bengaluru store. State Deputy Chief Minister G. Parameshwara, state Industries Minister K.J. George and officials participated in the event. "We expect 7 million (70 lakh) people to visit the store in a year as a range of affordable and elegant home furnishings and other items will be on display for sale," asserted Betzel on the occasion. "We will also have children's play area besides 7,500 products on offer with solution to create a better and brighter life at home," Betzel noted. Swearing that Bengaluru was a special city for the company, the executive said the city's cosmopolitan people would flock to the store for shopping, and relaxing with families and friends. IKEA's foray into Bengaluru will create hundreds of jobs with manufacturing in the state under best practices in retail and supply chain. The store will have solar panels, LED lights, rain water harvesting, water treatment plants and modern waste management systems. "We will use electric vehicles (EV) for deliveries and co-worker transportation in the future," added Betze.